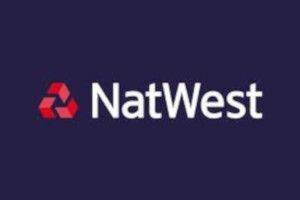 What are the current NatWest balance transfer deals and offers? Currently, there are no NatWest balance transfer credit cards available with a 0% introductory rate. NatWest removed all of their 0% balance transfer offers back in early 2014. This was at the same time as parent company RBS removed their own 0% RBS balance transfer offers. NatWest have since made it clear, that they have no intention to offer 0% introductory offers on any of their NatWest credit cards to either new, or existing customers. All of the 0% NatWest balance transfer credit cards have now been removed from the UK credit card market. The leading NatWest balance transfer card had previously offered 0% for 28 months on balance transfers. This card had a balance transfer fee of 2.99%, and an interest rate of 18.9% APR. The NatWest balance transfer and purchases card is also no longer available. This card had a shorter introductory offer of 0% for 15 months on both balance transfers and on purchases. The balance transfer fee on this card was 0.9%. NatWest credit card customers can still make a balance transfer from NatWest to another credit card. Although there are currently no 0% NatWest balance transfer offers available, there are many other UK credit cards with 0% introductory rates. As many people know, the credit card companies, do not allow balance transfers to be made from one credit card to another, when both cards are issued by the same company. For example, a balance transfer cannot be made from a NatWest credit card to a RBS credit card. All of the above credit cards will however, accept a balance transfer from NatWest cards. The current NatWest balance transfer credit cards do not offer 0% introductory rates. The NatWest balance transfer offer currently available is a 6.9% APR rate on balance transfers. Customers who have this type of balance transfer deal, will continue to pay interest on the balance transfer until it is fully paid off. 0% balance transfer offers allow customers to pay off their outstanding balance faster. This is because, during the 0% introductory period, all repayments go towards reducing the balance. During the 0% introductory period, a customer will pay no interest. What Credit Cards Can You Balance Transfer Bank of Scotland To? Which Credit Cards Can I Balance Transfer Halifax To?